From the home of many words comes a powerful language tool for all words. Neurolingo technology springs from our passion for the structure of language - not surprising for a technology company founded in Greece, whose ancient language lends its words and structure to many of today's languages. Neurolingo technology started with software that could build online dictionaries and spell-checkers, capabilities that Neurolingo continues to support. This natural language processing technology was developed by our founders into a robust, XML-based software architecture that could be easily scaled for a variety of semantic processing challenges. The result is Neurolingo Mnemosyne™, a unique, modular natural language processing platform that can be easily adapted to any class or kind of information processing environment to power semantic information extraction, summarization, interpretation and organization. Mnemosyne can be configured to "speak the language" of any industry, locality or problem domain, in essence "thinking" about language the way that people think about it. 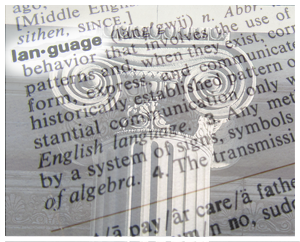 Mnemosyne thinks about the structure of language - so that you don't have to. The source of our muses and our memories lights the way to insight. Neurolingo's Mnemosyne™ natural language text analytics platform is named after a very powerful figure from Greek mythology. 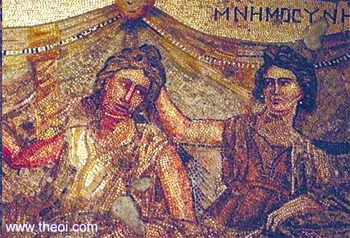 Mnemosyne (pronounced "nee-mos-uh-nee" in Greek) was the mother of the nine muses who were responsible for music, dance, history, astronomy and the other major arts and sciences of the classical Greek world. Mnemosyne was also responsible for the power of memory, enabling people to have their memories restored with a touch from her immortal hand. Neurolingo's advanced Mnemosyne™ natural language text analytics technology aims to do for you what Mnemosyne did with her formidable powers - to give you the ability to find meaning and insight from all of the information that stores our memories. Now, we can't promise you that you'll become a Greek god or goddess if you use Mnemosyne™, but we do think that you'll benefit greatly from exploring its power to turn content into insight.